Welcome back to America's premiere Vanity Smurf playground. Every Friday, we round up celebrity Instagrams and present them without comment. 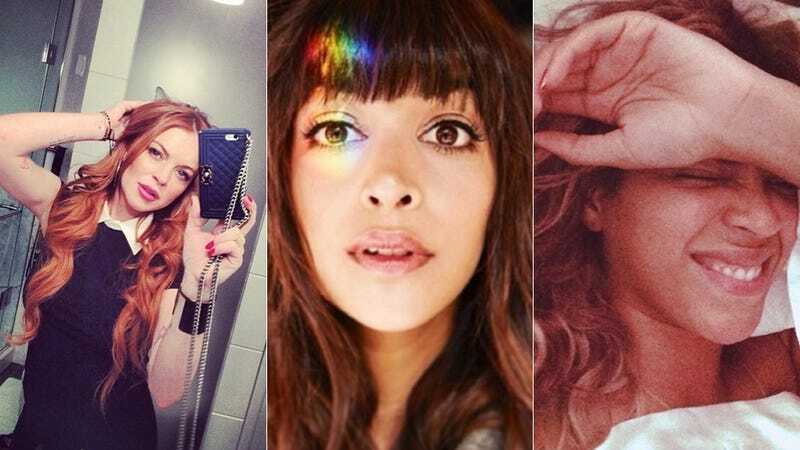 This week: Oprah received a fuckton of flowers for her birthday; Coco Rocha's doing roller-skate lunges; Mindy Kaling has a cute new love interest; and Beyoncé's in bed. Enjoy. To the funniest, most inspiring, incredible man I know.. @WilmerValderrama - thank you for helping me get through my darkest moments.. You truly are a light to this world and to my life.. Happy Birthday!!! Spoiler alert. In the end I win. Winter is here. Never seen a long stem rose this long. Birthday Roses from Cicely Tyson! Lots of Birthday love. It's beginning to look a lot like funnnn! My attempt to look chic in these trainers they made me wear at the detox spa in Sicily.